RUGBY WORLD: What’s the funniest thing you’ve heard on the pitch? ROB WEBBER: This was funny but in a slightly cruel way! In a game last year, we were giving away free-kicks at the scrum for going early, so Matt Gilbert asked the referee to make the call louder. I don’t know if the referee knew that Matt’s deaf, but the players had a little chuckle! RW: I wouldn’t be too good with snakes, but you don’t get too many of them in Bath. RW: Last season I got some decks to learn to DJ and I used them once. I haven’t got a musical bone in my body! 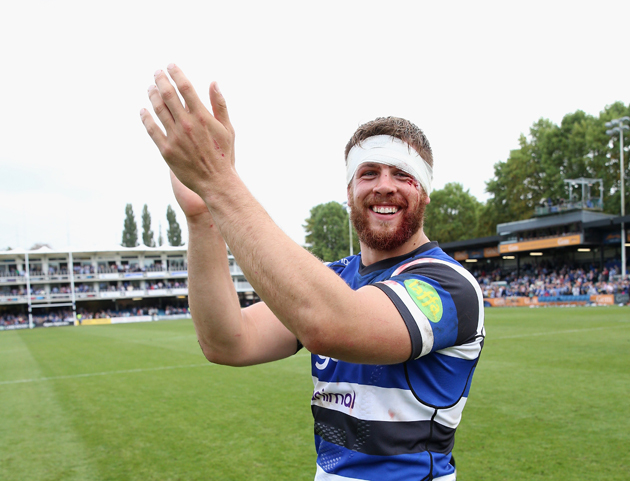 RW: Who are the jokers at Bath? RW: Micky Young fancies himself as one. Matt Garvey likes a joke and is always hiding phones and car keys. Matt plays a lot of jokes on Micky, who then retaliates and George Ford gets caught in the middle. Those three are always at each other. RW: Just Webbs. The best nickname at Bath is probably Smugwood. That’s what we call Dave Attwood because he’s the smuggest man on the planet. He likes to think of himself as the quintessential English gent and gets a lot of stick for that. RW: Lateness. I like to think I’m always on time, so if people are late I get agitated. Semesa Rokoduguni is always late. When he was in the military, he always had to be on time, so I think now he’s chilling out about it. RW: Do you have any superstitions? RW: I have a routine on match day, but not superstitions. If there’s a reason you’re not able to do it, you’d then panic. I used to pack meticulously, but a few years ago I realised it was best not to expend so much energy on it. RW: Which of your team-mates would you like to be? RW: Probably George Ford because he was GQ’s 51st best thing in the world, which is about 1,000,051 ahead of me! RW: Will Ferrell, just because it would be quite funny. He always makes me chuckle. RW: Teleportation. I’d like to be able to just click my fingers and be anywhere in the world, then be back again in a heartbeat. I’d go to as many places as I could. RW: Probably X Factor. Cheryl’s back and I’m a big fan of her! RW: My brother and I do a magic trick but I can’t say more than that because it’s top secret. 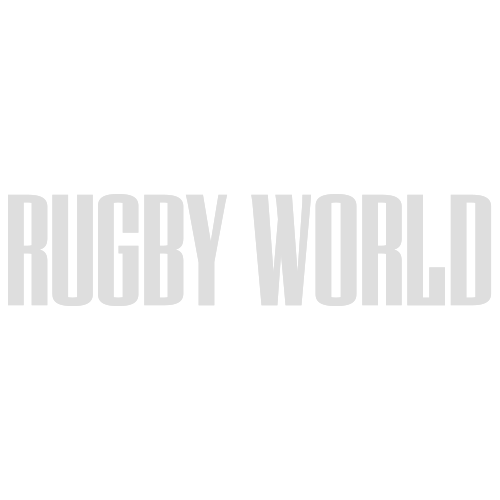 It’s pretty special – we pull it out now and then when we’re together. RW: Who would be your three dream dinner party guests? RW: Will Ferrell for the comedy. Jim Morrison from The Doors. I’m a big fan and I’m sure he’d have a few yarns to tell. 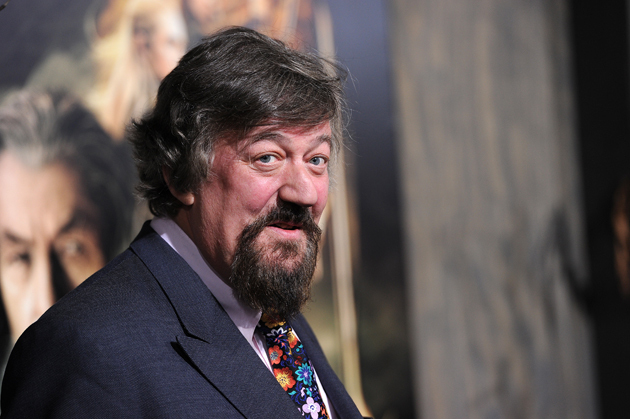 Stephen Fry – he’s very interesting and we could have an after-dinner QI. We’d have a laugh, a few stories and then a quiz – happy days. RW: I’m doing a business degree, so I’d like to complete that. I’m not sure what I want to do after rugby – I’m open to offers from readers! RW: How’d you like to be remembered? RW: In rugby, as a bloke who gave it his all and enjoyed it along the way. I’ve got fantastic memories and hope to make a few more. 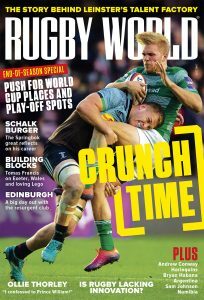 This interview was published in the October 2014 edition of Rugby World. Click here for the latest subscription offers.